The Man David McNicol Campbell (Dave or Jock) was born on 21st May 1920 in Springburn, Glasgow, son of David Campbell a Railway Locomotive Running Foreman and Janet, and had one sister Edith. He enlisted into the Royal Air Force in 1941 during World War II with service number 968321 and promoted to Corporal in the Administrative Branch. Dave longed to become aircrew and during 1942 was recommended by his Commanding Officer for pilot training. He attended Elementary Flying Training School (EFTS) at Brough Airfield in Yorkshire training on De Haviland Tiger Moths and going solo in approximately 9 hours. 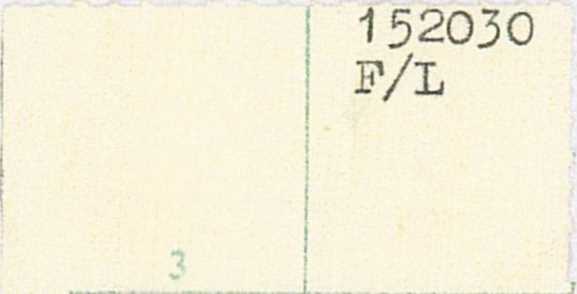 During September 1942 he was posted to the 56th Army Air Forces Flying Training Detachment in Canada, piloting Boeing Stearman PT17s, followed by 34 EFTS, Assinboia, Saskatchewan in the North West Territories, flying Tiger Moths which had been fitted with canopies due to the extremely cold weather. He moved again, to No 33 Service Flying Training School at Carberry in Manitoba now flying the twin engine Avro Anson II, gaining certification as an ‘Above Average’ pilot; followed by No 3 Flight Instructor School at Arnprior, Ontario, flying Fairchild Cornells and once again, Tiger Moths. On 30th April 1943 Dave was granted an emergency Commission in the RAF Volunteer Reserve in the General duties branch and new service number 152030 at the rank of Pilot Officer. He returned to the UK in August and posted to the Empire Central Flying School at Hullavington flying Airspeed Oxfords, then No 6 (p) Advanced Flying Unit at RAF Little Rissington on Oxfords and Ansons. On 30th October he was promoted to war substantive Flying Officer. In early 1943 Dave went to 42 Operational Training Unit at Ashbourne, flying the twin-engined Armstrong Whitworth Albermarle with the first tricycle undercarriage. He was again noted as an above average pilot and the best on course at night instrument flying. It was whilst here he was told he would not be joining a mainstream Bomber Squadron, but instead the newly formed No 570 Airborne Forces Squadron. 570 had been created at RAF Hurn on 15 November 1943 as part of No 38 Group RAF to support the 1st Airborne Division and equipped with Albemarles. The unit was engaged in supply dropping missions to French resistance units, training paratroopers and glider-towing, all of which Dave became highly proficient in. 1939-45 Star. France & Germany Star. 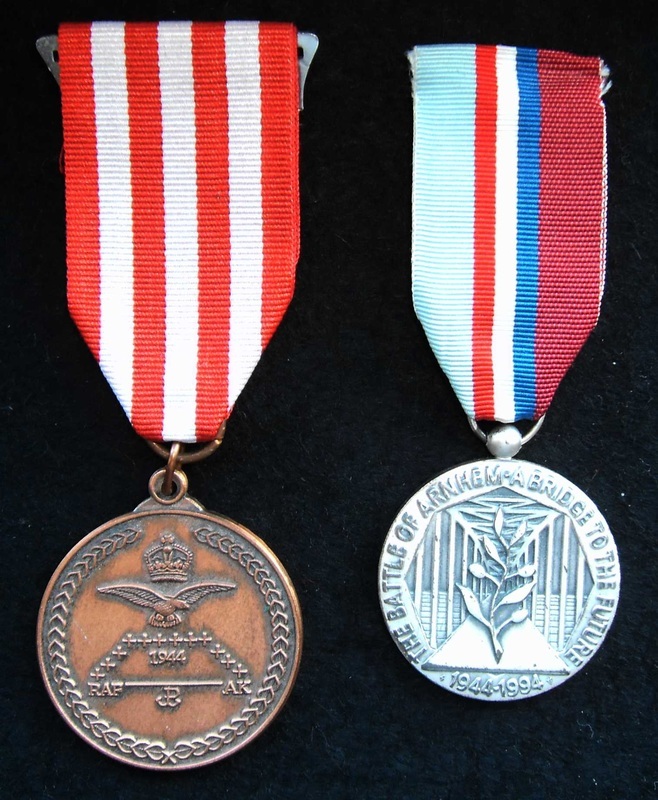 Defence Medal. War Medal 1939-45. Imperial Service Medal. Royal Observer Corps Medal. and on 29th May undertook his first mission, a supply drop which he remembered well. “It was our first mission, and we were only allowed about ten to fifteen minutes over the DZ area, in case attention was drawn to the spot. On this occasion, we had exhausted our time, and I was disappointed at not finding the ’bod’ on the ground flashing the torch at us, as well as thinking, when we got back to base our non location of the target would be put down to inexperience. I knew within myself, we were in fact over the correct DZ and I felt we were as skilled as other crews but I was obviously feeling bad at the thought of taking our containers back and the mission being a failure, so I was reluctant to leave the area. Perseverance paid off, as suddenly, Mike our gunner in the mid-upper turret spotted something behind us and to starboard. Immediately I got his guidance and flew to the spot and there was the signaller giving us the correct morse letter, located at the other side of a wood to that which we had been briefed. We were all quite pleased at being successful on our first op. On the way home over France we were abruptly cone in searchlights and shot at with tracer etc. I took violent evasive action by diving down and getting as low as I dared at night. I had a feeling we had either flown over a protected area or an aerodrome”. A few days later in June 1944, RAF Harwell was completely sealed in preparation for D-Day, no one was allowed in or out, and no phone calls. There was no flying except for air tests and it was a case of passing time as best he and colleagues could. Some played football, cards, wrote letters and other cleaned their aircraft! A Squadron photograph was taken outside of the Squadron offices of ‘B’ Flight Hangar on 3rd June, a necessary but ominous activity prior to the largest military operation in history. During this waiting period Dave was selected to take the top secret plans of Drop Zones to Down Ampney airfield. After checking with intelligence that he would be expected, he was told that their counterparts had been so informed. He left the camp suitably armed and finally arrived at the gates of Down Ampney, where he was refused entry. He was informed that no one, no matter who, as allowed in or out. Dave remembered thinking to himself, “Here I am with documentation that Hitler would give his right arm for and I am refused permission to enter because of security”. He was of course eventually allowed access. On 6th June 1944 Dave was engaged on Operation Mallard, the codename for an airborne forces operation conducted by the British Army, as part of the Normandy landings. He flew an Albermarle from RAF Harwell, towing an operational Horsa Glider with elements of the 1st Airborne Division on board as part of the initial assault to liberate Europe. Dave returned safely from this mission and there is to this day a plaque at the end of the former runway at Harwell, commemorating the invasion. It was also at his time that the Squadron devised the ‘Harwell Song’. During September 1944 he was again towing Horsa Gliders, this time as part of Operation Market Garden over Holland and flying the Short Stirling Mark 4, V8 LK117, dropping troops into the DZs. 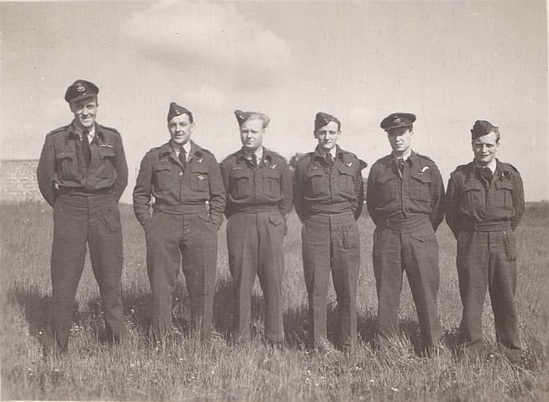 His crew for these missions were Flying Officer D F Harris (Navigator), Pilot Officer A J McNeill RNZAF (Air Bomber), Sergeant E Davis (Wireless Operator), Flying Officer Lord Deceis (Air Gunner). Sergeant C H Vass (Flight Engineer). He spent four days on operations and undertook a total of 16 operations. He continued flying re-supply missions over Arnhem but on 23rd September 1944 his aircraft, was hit and two of his crew injured. Dave recalled the incident “Our aircraft was badly damaged on the last day of the Arnhem operation, so much so that it had to the graveyard and did not fly again. Mike Deceis my gunner was wounded as was one of the despatchers. The W/Op Eric Davies, had a narrow escape when shrapnel ripped part of his battle dress tunic. After taking stock of the situation, I had the choice of heading for the nearest airfield in Belgium, or trying to nurse the kite back to Harwell and decided on the latter course. We just made it. The flaps and undercarriage had to be operated by hand as the hydraulics were out of action.” His Gunner, Mike (Arthur George Marcus Douglas de la Poer Beresford, 6th Baron Decies) received the DFC as a result of this action. The early part of October 1944 was mainly occupied with the movement of 38 Group operational stations and Group HQ from the West Country to Essex. RAF Harwell was transferred to Rivenhall and Dave flew on the 1st advance party in Aircraft LK289 for the move of 570 Squadron, in preparation for the SOE operations in Holland and Norway. Dave was subsequently tasked with piloting his lone aircraft and dropping Special Operation Executives (SOE) agents and Special Air Service personnel behind enemy lines as well as ongoing para dropping and re-supply missions in both countries. He remembered one operation when he dropped an SOE agent together with a dog, so that when he landed he could pose as a dog walker. 'Jock's Crew' Stirling V8F. Dave Campbell, Dennis Harris, Curly Mellor, Eric Davies, Mike (Lord) Deceis, Cedric Vass. On 24th March 1945 Dave again flew a Stirling as part of Operation Varsity, the successful joint American, British and Canadian airborne operation involving more than 16,000 paratroopers and several thousand aircraft, and the largest airborne operation in history to be conducted on a single day and in one location, that was planned to help the 21st Army Group secure a foothold across the River Rhine – “The Rhine Crossing”. On 30th April 1945 Dave was promoted to war substantive Flight Lieutenant and seven months after VE Day on 7th December 1945, 570 Squadron was disbanded and he left the RAF. His final assessment was an ‘above average pilot’ and he had amassed a total of 1,072 flying hours. 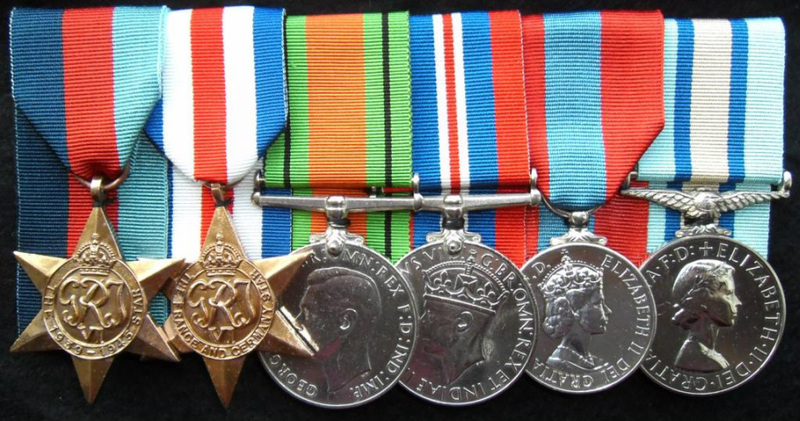 For his war service David was awarded the 1939-45 Star, France and Germany Star, Defence Medal and War Medal 1939-45. In civilian life he became a Surveyor for Ordnance Survey and in 1946 married Emily Scott Hair, having two children, Kenneth Scott and David McNicol junior before moving to ‘Southcroft’ 30 Frazer Street, Largs in Ayrshire. In September 1948 when the RAFVR was re-constituted, David re-joined at 13 Reserve Flying School (RFS) at Grangemouth, flying Tiger Moths once again and retaining his rank of Flight Lieutenant; He was promoted to the substantive position in 1952 with seniority backdated to 1st January 1951. On 31st August 1950 he received his Royal Aero Club Aviators Certificate for which he qualified as a service pilot. He then joined 11 RFS at Perth still in Tiger Moths but also flying the De Haviland Canada DHC1 Chipmunk and Percival Prentice. In 1953 he joined 9 RFS in Doncaster, having moved to Yorkshire. David retired from the RAFVR on 16th June 1955 aged 35 and during the 1960s joined the Royal Observer Corps at 20 Group York HQ, as a Chief Observer, rising to Observer Officer. He served for at least 12 years and awarded the ROC Medal for long service. 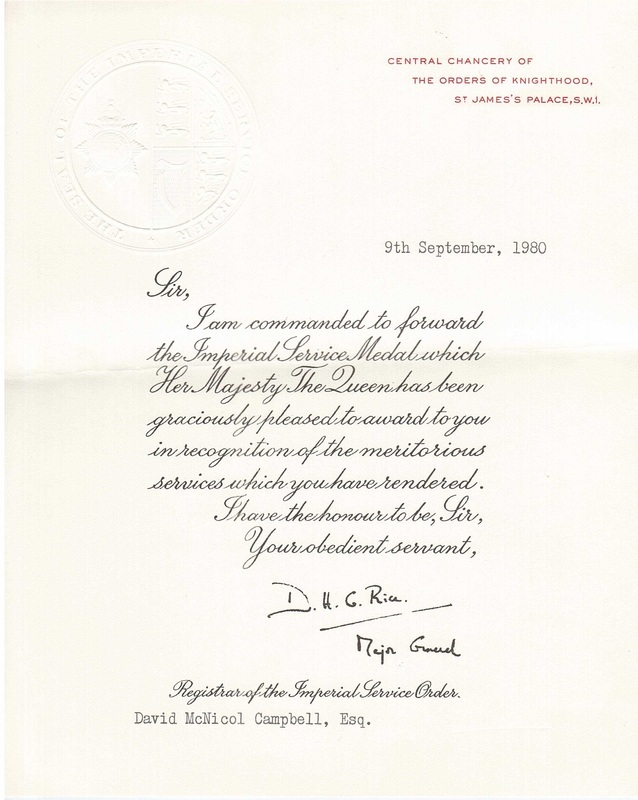 He retired from the Civil Service as a surveyor, senior grade still in the Ordnance Survey Department in September 1980 aged 60 and awarded the Imperial Service Medal. For his 70th birthday in May 1990 Dave was given a flight in a Piper Cherokee. When the pilot discovered he was ex aircrew he allowed Dave to take control of the aircraft, take off, fly it and land successfully. In 1994 Dave re-visited Holland during the 50th anniversary celebrations of The Battle of Arnhem and stayed with a sponsoring Dutch family. He also donated his war time uniform to the Airborne Museum and was awarded the Warsaw Air Bridge 50th Anniversary Medal and the Battle of Arnhem Commemorative Medal, which he wore on his right breast. Emily died on 28th January 2005 aged 88 and David on 30th December 2005 aged 85 at which time he was at living 8 Undercroft, Dunnington, Yorkshire. He was buried in Dunnington Parish Church Yard alongside Emily, his coffin being draped with the Royal Air Force Ensign and a Guard of Honour provided by the Glider Pilot Regiment and RAF Veterans. Observer Officer David Campbell. Royal Observer Corps. The Story The medal group awarded to David McNicol Campbell were acquired from e-bay on 10th December 2011 and were of interest because of the double long service awards; an Imperial Service Medal and Royal Observer Corps Long Service & Good conduct Medal, an unusual combination. A certain amount of detail was been obtained from the London Gazette web site and ancestry.UK. Dave's will was recovered from London during August 2012 and provided further information, including details of his Sons Kenneth and David, who were subsequently contacted and kindly provided much additional biographical detail, including David's portrait photograph in uniform, the ISM Medal certificate and permission to undertake further enquiries with MoDMO and the, ROC Museum . A visit was made to York in July 2015 to see Dave's son, also David, and a very interesting day spent trawling through many photographs and much memorabilia relating to his Father. This resulted in far more detail being made available and a set of photographs showing Dave's service in the RAF, ROC and later life. It was also discovered that Dave had featured heavily in a book by Horace E Cherrington, Winged Chariot - ISBN 0-9656169-1-6, the story of 570 and 295 Squadrons RAF, a copy of which was acquired from a dealer in Holland. Although Dave had died in 2005 his details did not appear on his headstone below his wife's. Following a contribution towards the inscription, a further visit was made to York in May 2017 and his grave visited. Dave's flying log books and Officers beret were also acquired to add to the archive of material. To have Dave Campbell's headstone finally inscribed is a fitting tribute to this man who did and achieved so much, and a way for a medal collector to become an actual part of one of 'his mens' existence. Following additional information received from David junior, it was also possible to establish from the MOD Medal Office that David's wife Emily, had been a Corporal in the WAAF during World War II and awarded the Defence & War Medal 1939-45. Click here to read her story. Dave has appeared in two books. Click on below links for further information. Dave Campbell's World War II Medal issue Certificate confirming the award of the 1939-45 & France & Germany Stars and the Defence & War Medals. Dave's Polish Airbridge & Arnhem Commemorative Medals worn on his right breast. Aircraft flown by David Campbell. Click on each for more detail. Dave Campbell's headstone, Dunnington Parish Church, York. David Campbell, David McNicol Campbell's son. With his father's medals. Click here for the Orders & Medals Research Society Display September 2017. 1939-45 Star: Unnamed as issued. France & Germany Star: Unnamed as issued.